The definitive account of the pop cult capital of the UK by Dave Haslam, one of Manchester's top DJs and journalists. 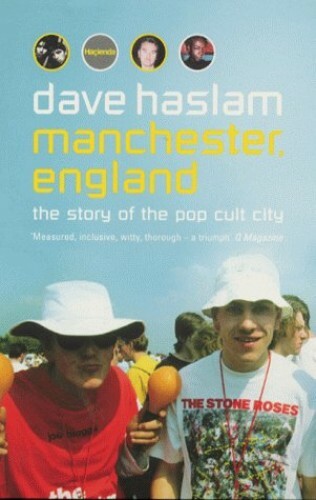 The definitive account of the pop cult capital of the UK by Dave Haslam, one of Manchester's top DJs and journalists. Manchester, a predominantly working-class city, away from the nation's capital, has been at the margins of English culture for centuries. The explosion of music and creativity in Manchester can be traced back from Victorian music hall and the jazz age, to Northern Soul and rock and roll, through to acid house and Oasis. But its roots are in Manchester's history as a melting pot of popular idealism and dissent, from the industrial revolution on, via film, theatre, comedy and TV. And for Manchester, read England and the world. Dave Haslam is uniquely placed to tell this story - Manchester, England is as witty, erudite and passionate as you would expect from a man who can say, again and again, "I was there". Like Jon Savage's England's Dreaming, this is the last word on the abiding centre of 40 years of UK pop culture.